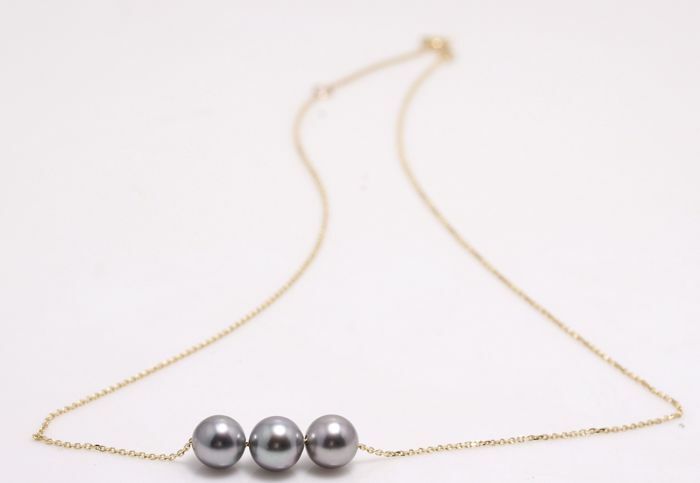 An elegant and easy to wear pearl necklace, featuring 3 round Tahitian pearls, set on an adjustable 14K yellow gold trace chain. 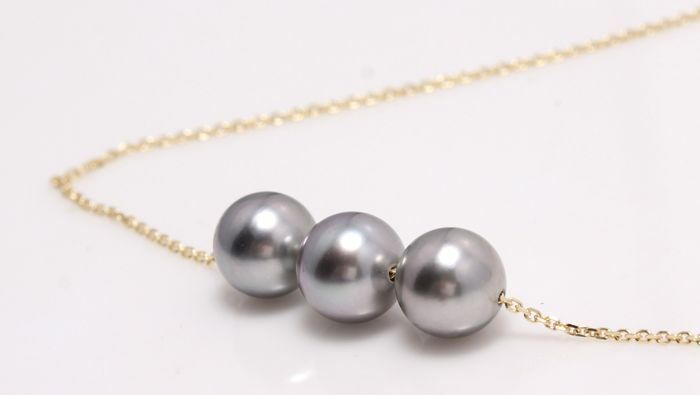 The pearls used for this necklace have been hand selected for their beautiful natural tahiti green colour and rich satin lustre. 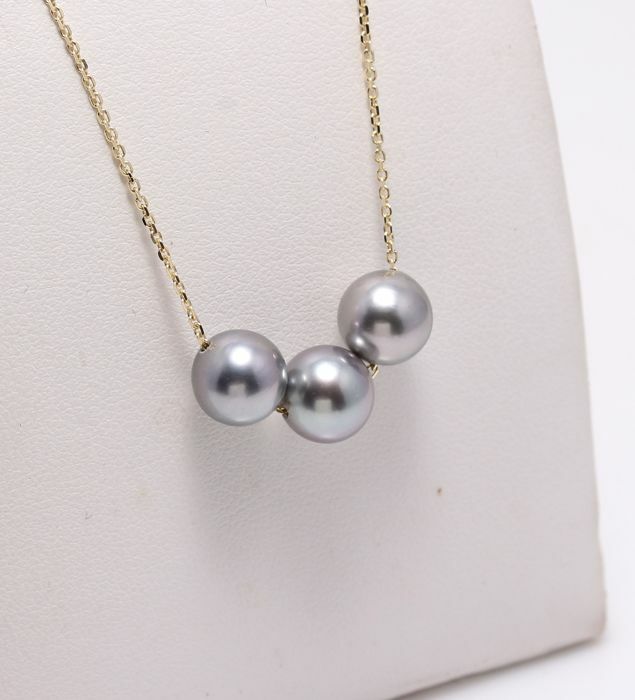 The yellow gold chain has a warming effect on the pearls, bringing out their warm green hues, magnificent ! 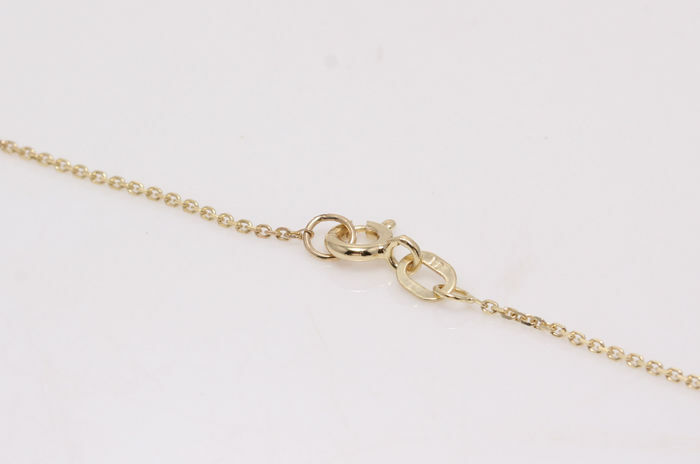 The total length of the chain is 45cm, with an extra loop set in the necklace at 42cm. 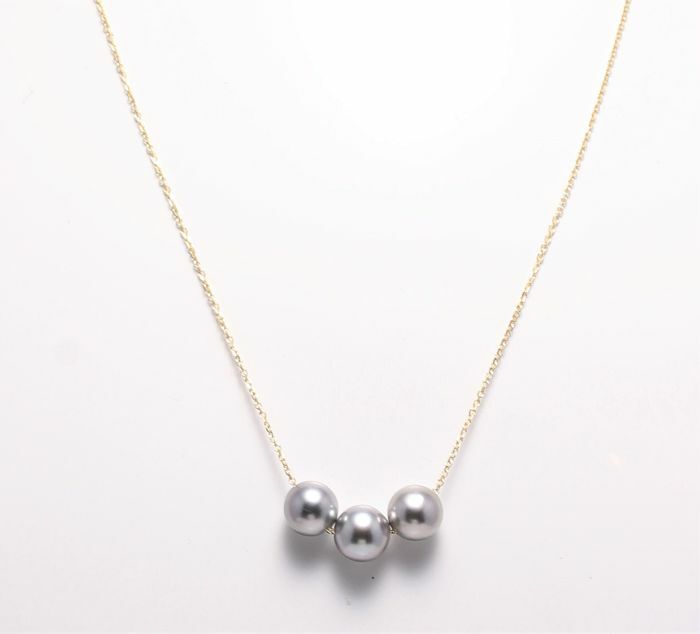 So that the necklace sits comfortably at the collarbone, depending on the style and outfit of the day. 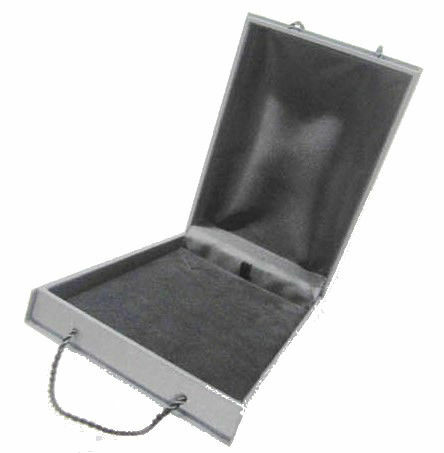 Packaging: Necklace Jewellery box and an Authenticity Certificate to guarantee the source and quality. El envío llegó muy rápido. El collar era igual que en las fotos. Un vendedor muy fiable. preciso puntuale e bello come in foto. grazie. Säljaren kontaktade mig någon minut efter att jag skrivit att jag tyckte pärlorna var för stora. 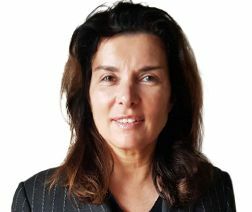 Jag är nu erbjuden att endera returnera pärlorna eller byta dem till en mindre storlek. An extremely lovely bracelet, exactly as described and received from Belgium within just a few days. I would not hesitate to buy from United Pearls again.